The kitchen is truly the heart of this home adjoining both the family room and the formal dining / living areas. What an ideal open floor plan designed for those who like to cook and entertain at the same time. Center island, ample cabinetry, closet pantry, and an eat-in dinette area showcase the large kitchen. Multiple living spaces provide endless possibilities. Do you prefer traditional formal living and dining with a casual den, or does a home office and game room better fit your lifestyle? The options are yours to envision. Split bedrooms offer privacy. The master bedroom retreat includes a generous walk-in closet and en-suite bath. Enjoy a spa day at home in the master bath with its large vanity, luxurious garden tub and separate shower. 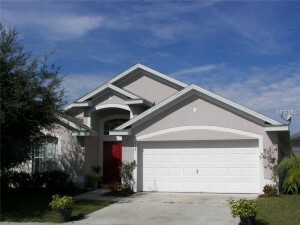 Legacy Park is conveniently located near shopping and is only a few minutes from Disney. Easy access to I-4 puts the beaches of Tampa / St Pete within a short one hour drive to the west and NASA’s space coast beaches only one hour to the east. Location and the home’s features make this one well-suited as a primary residence or as an investment property. Marketed by Orlando Realtor Teri Isner, Orlando Avenue Top Team.